My 'Go-To' makeup remover right now! Evening everyone! Around about this time on a usual evening, it's time to remove the 'day face' and take off all the makeup! I'm usually complimented for my clear skin (totally do not want to sound like i'm bragging!) and I must say removing your makeup before you go to sleep is absolute key to keeping those spots and zits away! I sometimes struggle to find a makeup remover that's as skin friendly as the one i'm writing about today. I tend to find some of them sting my eyes quite badly, also leaving areas like my cheeks pink and feeling quite raw *sobs*. I cannot praise this stuff enough! 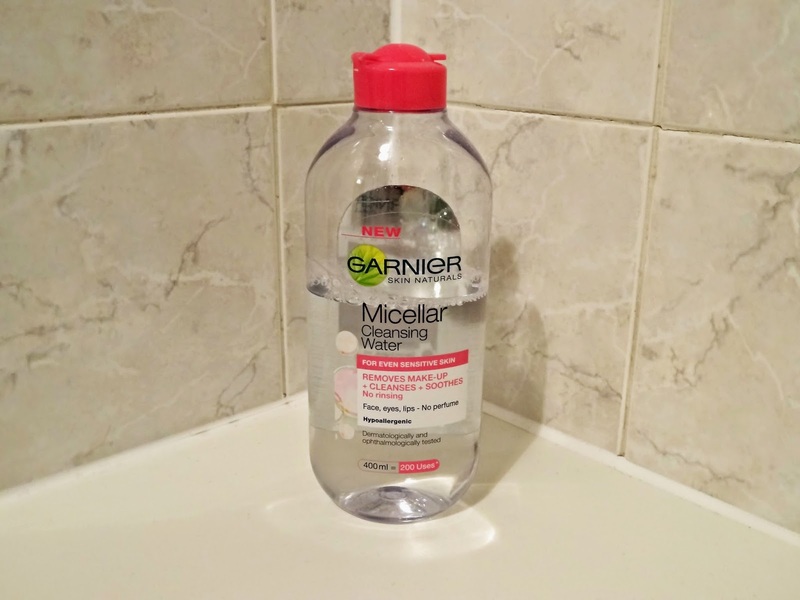 Its the Garnier Micellar Cleasning Water. Pour a little bit of this onto a cotton pad and wipe all over your face. It's great at removing general makeup - but for those stubborn areas like eyeliner or lipstick, I like to soak a cotton pad with this cleanser, and leave on the area for a few seconds for it to start breaking down the makeup. You can easily find this product in many drugstores in the facial cleansing isle. Currently at the moment its on offer in Boots, the usual price is £4.99 - currently £2.99! Click here to see the product and offer! I'll always reach out for this product in my evening skin routine (or when i'm removing my makeup on other occasions) I can't recommend it enough! great post! ! thans for sharing !you are so pretty. I love your blog and yours beauty tips ! !